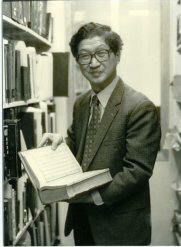 For 30 years John Yung-hsiang Lai has helped scholars research information. He beams when Harvard graduate students come to the Yenching Library on Divinity st.,Cambridge, knowing that Associate Librarian Lai will show them sources in their quest to write “A” theses. Lai’s bibliophile career began in 1951 at National Taiwan University. [He worked at the Library and] taught library science there for more than two decades. Harvard University, aware of his background and that he understood Chinese, Japanese and English, invited him to the Yenching Library in 1972. Yenching Library, the largest East Asian University library outside Asia, contains 600,000 books on five floors. The languages of the volumes vary from Chinese, Japanese and Korean to Manchu, Mongolian and Vietnamese. In a glass case by the entrance’s swinging doors, the library is exhibiting its Chinese language missionary work collection. A geographical history of the United States by the first american missionary to china, Reverend Bridgeman, faces the viewer from the third shelf. Christian primers formed in the Chinese three-character model and the original first Chinese translation （1813） of the New Testament. After the opening of the ports （1865）, missionaries intrduced Taiwan to the Anglo culture. They taught Western traditions and made onverts in Lai’s native country, where five percent of the Taiwanese practice Christianity today. However, since the Communist takeover of China in 1949, all western influence has diminished on the mainland. The American Board of Commissioners for Foreign Missions donated a collection of Protestant missionary works in te Orient to the Harvard-Yenching Library at the same time of the Communist takeover of China. Lai compiled a catalog of those 1000 original books, which G.K.Hall and Co.ublished last summer.  Lai’s text attracts readers to Yenching because it indexes the largest assortment of oriental works in the romanized style （26 characters）, rather than the chinese style which has 50,000 characters. Lai studied library science at George Peabody College for Teachers in Tennessee on his first trek to the United States in the late 1950’s. National University of Taiwan’s Library Science Department promoted him to head upon his return home. Twice during the 1960s he traveled across the Pacific Ocean to resent papers at the American-hosted International Congress of Orientalists and the Library Educational Congress for Developing Countries. He obtaied his American citizen status four years ago. In the meantime he visited Taiwan once for his mother’s funeral. He may go back again, but has made no specific plans. The Yenching Library, which was established in 1928, is open Monday through Saturday from 9 a.m.to 10 p.m. One of the oldest books in the library,which carries volumes on many subjects, is a 960 A.D.book from the Sung Dynasty in China.